Launched in 2013, Qubole is one of the few companies that provides big data-as-a-service. Having recently closed a series C funding worth $30 million led by IVP and existing investors CRV, Lightspeed Venture Partners and Norwest Venture Partners, the company boasts of financial investments worth $50 million! He further added that Qubole’s platform is already being used by innovative customers with unprecedented data needs, and has proven to be the most easy-to-use and economical solution available. IVP was impressed by the quality of the management team, the size of the market opportunity and the strong traction to date. The company is poised for explosive growth and they couldn’t be more excited about becoming shareholders. Further, this funding will be used for accelerating the availability of Qubole Data Service (QDS), a self-service platform for big data analytics as well as integration of new data engines. Consequently, allowing the users to choose the right tool for their data analytics needs. Thus, this round of financing has reinforced Qubole’s leadership in the Big data industry as it continues to disrupt the big data industry with it’s self-service, cloud-based platform to make processing more accessible while reducing complexity and cost. 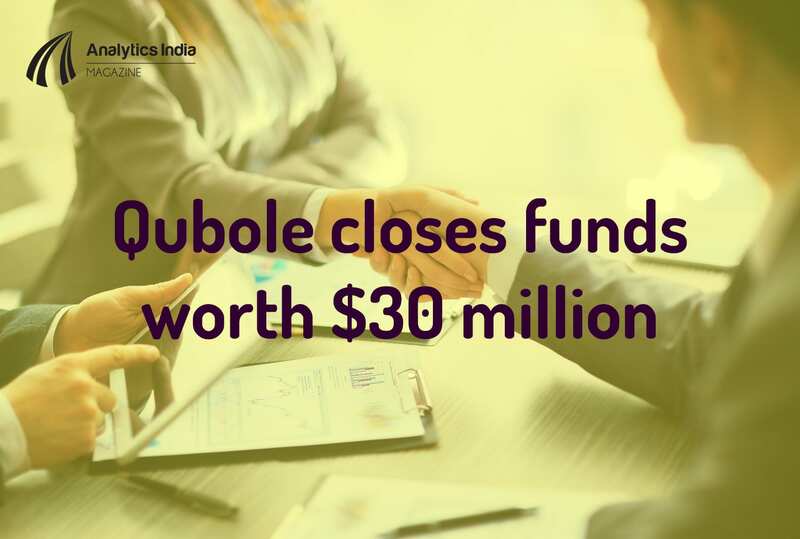 In fact, Qubole currently processes 250+ petabytes of data each month on its cloud-based big data analytics platform while running on the largest public clouds – Amazon Web Services, Google Cloud Platform and Microsoft Azure. It aims to expand its cloud-agnostic platform to integrate additional cloud providers by next year. Thus, Qubole has many prestigious customers including Datalogix (Oracle), BloomReach, Pinterest, TubeMogul and Fanatics. However, in the near future, they not only plan to target larger enterprises, but also expand their customer base in APAC and EU regions while also integrating several new verticals such as Internet of Things (IoT), life sciences and retail.